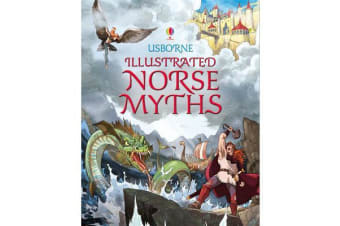 A brand-new collection of Viking myths that tell the story of the Norse gods from creation to the story of how the world will end, including Odin’s quest for wisdom, the battles of Thor the thunder god, and the tale of Sigurd the Dragonslayer and the curs. Beautifully bound with head and tail bands and a ribbon marker. Dynamic artwork by Matteo Pincelli brings to life the exciting, strange and sometimes dangerous world of the Norse gods.